Well, if "someone" isn't going to celebrate the 40th anniversary of Star Wars, then we are. And we're going to do it vicariously by looking at some great vehicles from the 30 (77-07) line. Let's start this party with the Trade Federation Armored Assault Tank (AAT). It's the focus of our Research Droids Reviews today. Be sure to leave your own thoughts in our comments section, vote in the poll or even leave comments about it on our Facebook page. Click the banner below for the direct link to the review! As always, you can also send your own personal review requests via email if you'd like to see something that we didn't cover yet..
We've updated our Revenge of the Sith Visual Guide with the Clone Trooper deluxe figure. Click below to check it out. We also added this to our reviews earlier today. Check that out right here. Gentle Giant announces their final PGM exclusives, two more Star Wars collectibles. Click below for a sneak preview of their Darth Revan Statue and Lobot Mini Bust. Both of these PGM collectibles will be available for those signing up for a PGM membership. PGM membership options have officially opened today. Click here for details on the 3 tier levels of membership available. Pre-order The GameStop Exclusive TBS6 [SW40] R5-D4 NOW! Hurry! You can pre-order GameStop's R5-D4 now with an April 15, 2017 release date! Missing: Hasbro, Have You Seen Me? The Revenge Of The Sith Clone Trooper Deluxe figure was fun, 50% functional and ultimately a bittersweet release. See why in our Research Droids Reviews today. Be sure to leave your own thoughts in our comments section, vote in the poll or even leave comments about it on our Facebook page. Click the banner below for the direct link to the review! As always, you can also send your own personal review requests via email if you'd like to see something that we didn't cover yet.. The new Boba Fett Premium Format Figure is up for pre-order! Tonight's Visual Guide upadate features a look at the Han Solo and Tauntaun deluxe 6 Inch set from The Black Series [Phase II] line. Click below for a full look at the guide page, and make sure to catch up on our review of this set right here. You can bring home Rogue One: A Star Wars Story Blu-ray/DVD on April 4th. We're here with an early look at what you can expect from the standard Blu-ray release. Click here for our full review. Two great sets based on The Force Unleashed video game were re-released in 2009. Let's check out the Emperor Palpatine (With Shadow Stormtroopers) now in our Research Droids Reviews today. Be sure to leave your own thoughts in our comments section, vote in the poll or even leave comments about it on our Facebook page. Click the banner below for the direct link to the review! As always, you can also send your own personal review requests via email if you'd like to see something that we didn't cover yet..
On Friday 3/31 you will be able to start ordering your membership tier of choice for the newly revamped Gentle Giant Ltd. 2017 Premier Guild. Inspired by the vintage Star Wars figures of your childhood, Gentle Giant is proud to bring you the Emperor in jumbo size! Digitally scanned from mint 3 ¾” vintage originals and reproduced in 12” scale, no detail has been overlooked. Roto and injection molded and made of durable plastics, this fully-articulated jumbo figure includes a faithfully re-produced cane accessory and POTF coin. To further capture the vintage feel, Gentle Giant has packaged this figure with a Power of the Force-inspired backer card featuring original photos and artwork. Designed with the collector in mind, the figure comes in a re-sealable plastic outer clam shell to help protect and display this limited edition figure. Greedo/Hammerhead/Walrus Man Funko Pop! Three-Pack IN STOCK! The stunning Greedo/Hammerhead/Walrus Man Funko Pop! Walmart exclusive three-pack is IN STOCK at Walmart.com. Special thanks to Victoria from Victoria's Cantina for the alert! Ree-Yees is once again in stock at tunghori. He has other cool super-articulated figures in stock too. Check it all out! Darth Vader (with Incinerator Troopers) is our latest set to be added to our The Legacy Collection Visual Guide. Click below to have a look at the full guide page, and also make sure to visit our review for additional details and discussion. Sponsor Announcement: NJ Toys And Collectibles: Huge Star Wars Update! There are lots of Star Wars updates at JTA sponsor NJ Toys And Collectibles. See what's in stock! Also, pre-order the Darth Vader Legacy Pack on April 1, 2017. Limited quantities available! Lots of STar Wars figures for $3 each too! Check it all out now! Hey, at least they didn't become Gareth Troopers! Scarif got its name from a barista screw up at Starbucks? According to Gareth Edwards, yes. See the full story at Independent.co.uk. Special thanks to Michael G. for the alert! JTA reader Toryn G. from Ireland sends us a report that the Jedha Revolt multipack has hit. We also have the UPC numbers to share with you if you're looking for this set there. Wow. Here is an interesting scoop for those who have HEB grocery stores near them (I believe they're frequently found in Texas). JTA reader Steve U. has a friend in Texas who sent him this image from a HEB store. They're already selling the 40th anniversary figures. Why does this feel like The Phantom Menace 3D debacle of 2012 all over again to me? So is every store on Earth going to have the same four or five TBS6 [SW40] in stock for the next couple of year? TARGET Exclusive Imperial AT-ACT Driver Found Everywhere! We're getting inundated for days now with fantastic store reports that TBS6 fans are finding the Imperial AT-ACT Driver TARGET exclusive. Admittedly a cool figure, don't expect his vehicle any time soon. Thanks to all who wrote in providing reports and images. It's New, It's Old, But Does It Put A Lift In Your Step? Weeks long insomnia from home appliance 'stress hell' while working full time and running a site means more news posts for you. The new TARGET kicker displays full of some new and a lot of old products is beginning to hit across the nation. JTA reader Aric B. feels hat refreshing sense of hope by seeing something new in stores, but when the contents are mostly old it feels utlimately disappointing. Two great sets based on The Force Unleashed video game were re-released in 2009. Let's check out the Darth Vader (With Incinerator Troopers) set in our Research Droids Reviews today. Be sure to leave your own thoughts in our comments section, vote in the poll or even leave comments about it on our Facebook page. Click the banner below for the direct link to the review! As always, you can also send your own personal review requests via email if you'd like to see something that we didn't cover yet. Gentle Giant sent out an update announcing one of their 2017 Premier Guild gifts: Star Wars: A New Hope Obi-Wan Kenobi Death Star Duel Mini-Bust. Click below for a full look at this mini-bust. Check our the latest The Black Series 6" release, the Target exclusive Imperial AT-ACT Driver. We're adding this to our Visual Guides tonight. We also added this to our Research Droids Reviews right here. The Black Series 40th Anniversary Wave 1 Figures IN STOCK At HTS! The Black Series 40th Anniversary figures are currently IN STOCK as of this posting at Hasbro Toy Shop, Including Princess Leia and R2-D2. Click here to get them while you can! A big thanks to JTA reader Chris for the alert! The TARGET exclusive Imperial AT-ACT Driver is pretty awesome. But what is this action figure going to drive? He's kind of pointless now that we think about it. But how you will you think about it? See more in our Research Droids Reviews today. Be sure to leave your own thoughts in our comments section, vote in the poll or even leave comments about it on our Facebook page. Click the banner below for the direct link to the review! As always, you can also send your own personal review requests via email if you'd like to see something that we didn't cover yet. We have another Movie Heroes figure from the Star Wars [Yoda/Attack of the Clones] line. Check out Obi-Wan Kenobi (MH03) by clicking the image below. We've also added this to our review database right here. Hasbro has sent out a cool Rogue One Press Kit which includes a Jedha Revolt four-pack of 3.75" action figures as well as a digital copy of Rogue One for sites with whom they continue to maintain working relationships. Click the image below for box contents. The 2012 Star Wars [The Phantom Menace 3D] line was the beginning of the end, but things went really awry with the 2013 Star Wars [Yoda/Attack Of The Clones] line. Let's finish up our quick look at these figures with Obi-Wan Kenobi. It's another repack from the previous Movie Heroes line. It's all in our Research Droids Reviews today. Be sure to leave your own thoughts in our comments section, vote in the poll or even leave comments about it on our Facebook page. Click the banner below for the direct link to the review! As always, you can also send your own personal review requests via email if you'd like to see something that we didn't cover yet. We're adding Captain Rex (CW62) to the TCW [SOTDS] Visual Guide tonight. Click below to have a detailed look, and also read our review for additional details. The 2012 Star Wars [The Phantom Menace 3D] line was the beginning of the end, but things went really awry with the 2013 Star Wars [Yoda/Attack Of The Clones] line. Let's continue looking at these figures with Yoda. It's another repack from the previous Movie Heroes line. It's all in our Research Droids Reviews today. Be sure to leave your own thoughts in our comments section, vote in the poll or even leave comments about it on our Facebook page. Click the banner below for the direct link to the review! As always, you can also send your own personal review requests via email if you'd like to see something that we didn't cover yet. We have another astromech to add to the TCW [SOTDS] Visual Guide. Click below for a look at R7-A7 (CW43). You can also check this droid out in our review database. HURRY! TBS6 Darth Revan IN STOCK At Hasbro Toy Shop! Hurry! Darth Revan is IN STOCK at Hasbro Toy Shop! Special thanks to JTA reader Craig B. for the alert! GameStop To Close 150 Stores; Will This Affect TBS [SW40] R5-D4 Availability? Another retailer that specializes in Star Wars action figures has sustained a setback. GameStop, according to Fortune.com, will be closing 150 stores throughout 2017. It seems that R5-D4 may not be affected in the least. If you remember our exclusive insider report, it's believed to arrive April 21st (there are other details in the report too). The possibility does exist that this exclusive release may just come and go before the stores start closing, unless GameStop decides to stop providing the failing stores with new products. How insane is this? They were one of the only retailers to get the TBS6 Darth Revan wave too; it seemed like a great source for the line. It's not a great climate for retailers in general, and it's disappointing to see something else work against the Star Wars line. The 2012 Star Wars [The Phantom Menace 3D] line was the beginning of the end, but things went really awry with the 2013 Star Wars [Yoda/Attack Of The Clones] line. Let's continue looking at these figures with Darth Maul. It's another repack from the previous Movie Heroes line. It's all in our Research Droids Reviews today. Be sure to leave your own thoughts in our comments section, vote in the poll or even leave comments about it on our Facebook page. Click the banner below for the direct link to the review! As always, you can also send your own personal review requests via email if you'd like to see something that we didn't cover yet. We have a sneak peek of the just released TARGET exclusive The Black Series [Phase III] Imperial AT-ACT Driver. It's a decent figure, but in our opinion it just too difficult to tell if it's screen accurate. There are many source materials out there and some look like this while others do not. Our jury is still out. Although nicely painted, the tooling is apparently getting too worn as our sample has extremely loose joints.... to the point of being annoying. Look for this to appear at your local TARGET stores soon. The RDR is coming soon but you can check out our rough gallery and Collector Notes. Extra special thanks to JTA reader and friend Jaken Wraith for obtaining this sample for us. We appreciate it IMMENSELY! We're switching over the the Movie Heroes line for a bit with our Visual Guide updates. Click below to check out R2-D2 (MH05). You can also stop by our review database for the full review and analysis of this figure. Don't forget to watch the season three finale of Star Wars Rebels on Disney XD tomorrow. The special hourlong episode titled "Zero Hour" will premiere at an earlier time, 11:00 a.m. ET/PT Saturday morning to be exact. There will also be encore airings at 5:00 p.m., 8:00 p.m., 10:30 p.m. and 12:30 a.m. ET/PT! Click through for a sneak peek! JTA reader Jason L. has found the pretty awesome Speeder Bike (with Biker Scout) 12-Inch set at his local ROSS in California for a mere $6.99. We reviewed this set and found it favorable. You may want to see if this is for your collection too. We have a report of The Force Awakens figures being found at Five Below. This should have been the normal MSRP for these figures. Special thanks to JTA reader Adam for the news! The 2012 Star Wars [The Phantom Menace 3D] line was the beginning of the end, but things went really awry with the 2013 Star Wars [Yoda/Attack Of The Clones] line. We'll be looking at a couple of figures that were carried forward into the Movie Heroes line. Let's look at R2-D2. He's the focus of our Research Droids Reviews today. Be sure to leave your own thoughts in our comments section, vote in the poll or even leave comments about it on our Facebook page. Click the banner below for the direct link to the review! As always, you can also send your own personal review requests via email if you'd like to see something that we didn't cover yet. Fan favorite Hondo Ohnaka (CW39) is our latest Visual Guide update. Click below to check out the full Visual Guide from the The Clone Wars [SOTDS] line. You can also check out our full review of this figure right here. Book collectors will want to take note of the schedule for authors that are signing at Celebration next month. Looks like they will be signing all 4 days. Get the full schedule after the jump! It's also worth noting that you can get a free Thrawn pin with the purchase of the new Star Wars: Thrawn book, and a cool 40th tote bag. Sign me up! Sponsor Announcement: NJ Toys And Collectibles - Jedha Revolt! JTA sponsor NJ Toys And Collectibles will have the Jedha Revolt four-pack in stock on March 28th. Reserve your set now! Maul’s desperate search for Obi-Wan Kenobi came to a head in the latest episode of Star Wars Rebels. Click through for the full review of this season's penultimate episode "Twin Suns"! Funko Star Wars Celebration 2017 Exclusives Part 2! Wow. Just wow. This is what happens when a licensee is passionate and eager about the license it possesses: wonderful things are produced and it excites everyone else. Funko is knocking it out of the park with some of the best exclusives we have ever seen. Check out the next edition of breaking news at Funko's blog! The Elite Series figure are on sale again at DisneyStore.com. Of particular note, Finn and Kylo Ren are down to $5.99, LOL. The backbone of the powerful Imperial Starfleet, the Star Destroyer, is the second coin to be added to the new Star Wars Ships coin collection from New Zealand Mint. It featured in a number of Star Wars movies including Star Wars: A New Hope, Star Wars: The Empire Strikes Back and Star Wars: Return of the Jedi. With a worldwide mintage of only 10,000 coins, you might have to hurry to get yours! Start your collection today. Click through for more details. It's time to finish up our look at the figures in The Episode III Heroes & Villains Collection. Let's end with the Destroyer Droid. Check it out in our Research Droids Reviews today. Be sure to leave your own thoughts in our comments section, vote in the poll or even leave comments about it on our Facebook page. Click the banner below for the direct link to the review! As always, you can also send your own personal review requests via email if you'd like to see something that we didn't cover yet. Click here for the latest details on the 2017 Rancho Obi-Wan 2017 membership, as well as Celebration Orlando details, and help support this great cause! Rancho Obi-Wan will be exhibiting at Star Wars Celebration Orlando, April 13-16, 2017, booth 2701 near the main entrance to Exhibit Hall B.
UPDATE: Found! TBS6 Darth Revan/Sabine Wren Wave Hits Toys R Us! Found! The Black Series [Phase III] Darth Revan wave has been found at Toys R Us in Frisco Texas. JTA reader Mark lets us know! It's unbelievable how long it has taken this wave to show up at TRU. What's VERY interesting about this is that the case features the new Princess Leia Organa, so it's not like these were sitting in warehouses for months. UPDATE: Store report is from Texas and the case features the new Princess Leia Organa. I smell conspiracy theory. Let's take a look at Commander Gree (CW21), our next The Clone Wars [SOTDS] Visual Guide update. Get all the details by clicking below, and also get a full breakdown of this figure over in our review database. “Double Agent Droid” is a bizarre episode of Star Wars Rebels. Click through for the full review! TBS6 [SW40] Legacy Pack With New Darth Vader Found In Canada! Even controversial eBay seller tunghori knows how to celebrate the 40th anniversary of Star Wars better. While not rare, on average it goes for about double what tunghori is offering. Open Post: What Are You Spending Your Play Money On Due To The Lack Of Decent 3¾" Figure Offerings? With Hasbro producing so very little for 3¾" (super-articulated) figure collectors, we're curious to know if you are buying any other lines? Are you saving money instead? 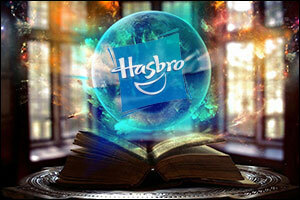 This is an open post to shoot the breeze about your money, and talk about the money Hasbro is potentially losing. (The Black Series 6" figures only count if you're buying another toy line.) [We're trying something new here, so please avoid taboo topics such as politics, sports, and religion.] Is it possible that we're all beginning to realize how much we can live without our hobby (as sad as it seems)? Special thanks to JTA reader and friend Ayem Mayem for the post idea. Found! Jedha Revolt Hits TARGET! Here it is! The Jedha Revolt four-pack has arrived in the USA at brick and mortar! JTA reader and friend Mario M. sends us this image of what he found at this local TARGET in California. TBS6 Price Drops On Amazon… How Low Will They Go? Things have been quiet on the new-figure-front. Now might be a great time to check out some low-priced items on Amazon. For example, TBS6 Captain Cassian Andor is so low it's been reduced to an 'add on item'. Click here to see if there's anything you have been holding out for. Last night, Victoria from Victoria's Cantina messaged me about this Change.org petition. As you can see, she's petitioning Hasbro to bring back the super-articulated 3.75" line back into the mainstream and wants all of us to be part of it too. As you all know, the joy of collecting is a fragment of what it used to be, and we're still debating if the last half decade or so has or hasn't caused irreversible damage to this collector base. We're going to try one more time. Remember, don't be apathetic if this is your passion. We know there is a significant branch of collectors who solely collect 3.75" action figures. So please let your voice be heard! But perhaps the crystal ball will soon reveal more? We're continuing to look at one of the earlier lines of "greatest hits" figures. Let's proceed with R2-D2 from The Episode III Heroes & Villains Collection. Check it out in our Research Droids Reviews today. Be sure to leave your own thoughts in our comments section, vote in the poll or even leave comments about it on our Facebook page. Click the banner below for the direct link to the review! As always, you can also send your own personal review requests via email if you'd like to see something that we didn't cover yet. Check out the The Clone Wars [SOTDS] Battle Droid (CW19), our latest addition to our Visual Guides. Click below for a detailed look, and don't forget to check out our full review as well. The full line-up of Art Show prints for Celebration Orlando 2017 can now be viewed right here. You can also pre-order many of the prints for pick-up at the show, a huge time saver if you are looking to buy. Is it fake news or fake discounts? Well, according to Consumer Watchdog it's supposedly the latter. Amazon is reportedly in some hot water with providing its consumers with "fake" discounts. Fox 31 has the full story. Awesome Funko Celebration Orlando Exclusives Revealed! Funko! Here we come! Our favorite licensee doesn't make cool exclusives like this anymore. Check out the just revealed awesome Celebration Orlando exclusives from Funko. See the full reveal HERE! And this is ONLY part 1! We're continuing to change gears and look at one of the earlier lines of "greatest hits" figures. Let's proceed with Mace Windu from The Episode III Heroes & Villains Collection. Check it out in our Research Droids Reviews today. Be sure to leave your own thoughts in our comments section, vote in the poll or even leave comments about it on our Facebook page. Click the banner below for the direct link to the review! As always, you can also send your own personal review requests via email if you'd like to see something that we didn't cover yet. And speaking of 3.75" super-articulated action figures, I highly suggest you check out the last two Q&A sessions by Adam Pawlus at Galactic Hunter. As someone who works in the actual industry to a degree or two, I found these last two installments particularly honest and revealing. A strong proponent of 5POA and the latest products that Hasbro has on tap, it appears that Mr. Pawlus was a little more transparent about his feelings about what is going on in the Hasbro line. He uses 3.75" generically (5POA and SA), so try not to read into things one way or another unless specifically identified, but there are some fantastic points made. They're MUST-READS, guaranteed. THIS WEEK'S can be found HERE. LAST WEEK'S can be found HERE. It's Big, It's Beautiful And Collectors Are Gonna Love It! You think 3.75" collectors are finally facing the music? And that they're finally figuring out what the future holds for them? Look at this insane expired auction where a complete set of The Vintage Collection figures were sold for an astounding $3,250 on eBay. This averages to $28 a figure. Special thanks to friend Chris S. for the alert. As some give up and sell, others enter trying to complete their collection of these fabulous figures. BG-J38: The Most Expensive Build A Droid By Far? Wow! Look at the crazy prices Build A Droid BG-J38 will run you. Even the single parts and incomplete droids go for a mint. Special thanks to JTA moderator Sjefke for the heads up! Our The Clone Wars [SOTDS] Visual Guide gets another addition tonight. Click below to have a look at the Super Battle Droid (CW16) figure. We also have this figure added to our extensive review database right here. My friend Justin Cook from Yakface.com has posted an update to his awesome custom photonovel The Enloe Trials: Rising Depths. Be sure to check out this gorgeous custom work! We're continuing to change gears and look at one of the earlier lines of "greatest hits" figures. Let's proceed with General Grievous [Version 2] from The Episode III Heroes & Villains Collection. This is the running change update to the error figure that was released very briefly first. Check it out in our Research Droids Reviews today. Be sure to leave your own thoughts in our comments section, vote in the poll or even leave comments about it on our Facebook page. Click the banner below for the direct link to the review! As always, you can also send your own personal review requests via email if you'd like to see something that we didn't cover yet. Here's another The Clone Wars [SOTDS] repack in the basic line. Click the image below for a look at the Asajj Ventress (CW15) Visual Guide. We also have a full review of this figure right here. We're continuing to change gears and look at one of the earlier lines of "greatest hits" figures. Let's proceed with General Grievous [Version 1] from The Episode III Heroes & Villains Collection. This was an error figure that was quickly corrected and replaced with a different version. Check it out in our Research Droids Reviews today. Be sure to leave your own thoughts in our comments section, vote in the poll or even leave comments about it on our Facebook page. Click the banner below for the direct link to the review! As always, you can also send your own personal review requests via email if you'd like to see something that we didn't cover yet. TBS6 [SW40] Figures For Pre-order At GameStop.com: R2-D2 Still IN STOCK! JTA readers fearxforthebest and Ruben J. have written in to let readers know that GameStop has put up for pre-order the 40th Anniversary figures. R2-D2 can still be ordered as of the time of our post. UK ASDA Stores Get TBS 3.75" Scarif Stormtrooper Wave! Well, this is GREAT news. JTA reader Michael G. from the UK has found the ASDA exclusive 3.75" Captain Cassian Andor and Scarif Stormtrooper at his local store. They're finally hitting! Michael also let us know that the latest Rogue One figures have hit there as well! You might want to go on a toy run if you're in the UK! We continue our look at the The Clone Wars [SOTDS] basic figures. Tonight's Visual Guide addition is the repacked Clone Pilot Odd Ball (CW14). Click below to have a look at this figure, and get the full report on this figure over in our review database. Hundreds of artists were considered for the Star Wars Celebration Art Show, in the end Lucasfilm and the panel of judges narrowed down their selection to just 32 artists to create exclusive new illustrations for the event. Two of the featured artists are the duo of Joe Corroney and Hi-Fi color design's Brian Miller who frequently collaborate on cover illustrations for sci-fi comics like The X-Files, Star Trek, and Doctor Who as well as Star Wars art for book covers, Star Wars Insider magazine, Topps trading cards, Disney Parks, and Star Wars collectables for ACME Archives & Dark Ink Art. Click through for full details! The Star Wars Collector Podcast is a monthly podcast that Kentucky Star Wars Collectors Club members Bryan Ramsdell and Carl Felty do on a monthly basis. They talk about the new stuff that they have gotten over the last month and new stuff that is coming out. There's also discussion time for a variety of subjects in collecting Star Wars items from cards to toys. Make sure to give them a listen! You can also find them on Facebook. Brian's Toys has their latest newsletter out featuring the latest from Gentle Giant, Vintage items, and their no reserve eBay auctions. Get all the latest after the jump! We're continuing to change gears and look at one of the earlier lines of "greatest hits" figures. Let's proceed with Obi-Wan Kenobi from The Episode III Heroes & Villains Collection. You probably don't own this repacked figure because you probably don't need it. Check it out in our Research Droids Reviews today. Be sure to leave your own thoughts in our comments section, vote in the poll or even leave comments about it on our Facebook page. Click the banner below for the direct link to the review! As always, you can also send your own personal review requests via email if you'd like to see something that we didn't cover yet. 40th Anniversary Leia Showing Up In Old TBS [P3] Red/Black Packaging Now? We have heard whispers of this for weeks now, and it appears we may have some proof. JTA reader Bobby sends us an image of TBS6 [P3] Princess Leia Organa sporting the new "40th anniversary" head sculpt in the red box. When we broke the news of Leia's head sculpt changing, we understood it that the figure would be coming in the red/black packaging too, so this sort of lines up with our original rumor. However, we don't have any additional inside knowledge that this has indeed transpired and that new red/black boxed Leia' will be the revised. It is certainly easy to fake, although it's a lot of unnecessary work to do this. It's also not out of the realm of possibility that this would happen. (The figure also wasn't being scalped as rare.) In short, you may want to pay attention and see what you can find out there. This sample was found at Salt Lake City Comic Con and the dealer had both versions at his booth. Our next Visual Guide update features the exclusive Captain Lock from the The Clone Wars [SOTDS] line. Click below to check out the guide page. You can also check out our full review right here. Funko announced via their Twitter feed that they will finally be making a Bodhi Rook Pop!, completing the cast of Rogue One. They also mentioned that their Celebration exclusives will be revealed next week. Thanks to JTA reader TheSegaMan for the alert. Lots Of Star Wars Stuff Close To 50% Off At Hasbro Toy Shop's eBay Store! Wow! Hasbro Toy Shop's eBay store has put a lot of stuff on sale too. They must be making room for news products as well. Check out what they have. Lots of stuff is close to 50% off! Hallmark announces some cool 40th Anniversary Star Wars products too. Is that Snaggletooth Itty Bitty the oddest choice ever? Click through for more! We're changing gears and looking at one of the earlier lines of "greatest hits" figures. It's time to check out Chewbacca from The Episode III Heroes & Villains Collection. You probably don't own this repacked figure. Check it out in our Research Droids Reviews today. Be sure to leave your own thoughts in our comments section, vote in the poll or even leave comments about it on our Facebook page. Click the banner below for the direct link to the review! As always, you can also send your own personal review requests via email if you'd like to see something that we didn't cover yet. We're adding another Toys R Us exclusive from The Clone Wars line, this time the V-wing Fighter & V-wing Pilot. Check them out by clicking below. You can also find this set in our review database. The Hot Toys Death Star Gunner is now available for pre-order. Click here for pre-order details and gallery images. Wow. The reports are pouring in now. It seems that there is a nationwide clearance sale happening at Walmart brick and mortar locations (we don't have confirmation of this just yet). 3.75" TBS figures are $5.84. TBS6 figures are $9.84 and just about every other Star Wars products is pennies on the dollar. It seems the backlog has come to a head. Check out THIS IMAGE too from JTA reader Ian D. Special thanks to JTA reader William C. for the first alert! It's the ONLY WAY you can get the CLEAN REPAINT version the V-wing Fighter, but you probably would never pay its ridiculous original MSRP. See why the V-wing Fighter & V-wing Pilot Toys R Us exclusive is such a bittersweet release. It's the topic of our Research Droids Reviews today. Be sure to leave your own thoughts in our comments section, vote in the poll or even leave comments about it on our Facebook page. Click the banner below for the direct link to the review! As always, you can also send your own personal review requests via email if you'd like to see something that we didn't cover yet. Check out this Toys R Us exclusive The Clone Wars set, our latest Visual Guide Update. Click below to visit the guide page for the Hailfire Droid & General Grievous set. We also added this to our Research Droids Reviews today, so check that out as well! BREAKING NEWS: Protocol Droids Coming To Disney Parks Droid Factory! We have rumored this for a while now and we have received additional proof today, although it's still officially a rumor at this point! And this is a fascinating development. JTA has just learned that Disney Parks is restarting its hugely popular Droid Factory in the form of PROTOCOL DROIDS. Now, we don't know if they're focusing solely on 3PO-series styled droids or if this line will include other protocol droid-like sculpts (i.e. HK-series, CZ-series, RA-7-series. etc.) We have also learned that the Astromech Droid parts, while no new parts are coming, will remain at the parks. A second "Protocol Droid" kiosk will be placed next to the Astromech Droid kiosk and visitors to the park will be able to build both types of droids. We have also learned that these parts are due to hit theme parks soon, but the guess is that they'll be formally announced at Star Wars Celebration and perhaps debut on May the 4th this year. OH! And the huge news? C-3PO is believed to be part of the first wave; a figure we have been waiting to see made with this popular sculpt for YEARS now. More to come as we follow this story. Stay tuned! The full line-up of Collector's Track panels have been revealed for Celebration next month. Along with the panels, there will be 20 different Star Tots given out. So, if you attend a panel, you get a tot. Get the full line-up right here! Walmart Exclusive Emperor's Royal Guard Back IN STOCK For $10.83 Now! As of the time of this post, the Emperor's Royal Guard is IN STOCK for $10.83! The Death Trooper is in stock too! Before you say this sounds a lot like the USA at the moment, check this out. We have heard from multiple foreign sources now that there is major trouble in paradise (when it comes to Hasbro's distribution in the EU). Per our MULTIPLE sources, they're not getting the Darth Revan wave. They're not getting the Lando Calrissian wave. And the Rogue One Admiral Raddus wave isn't coming either. They're not getting the Thrawn wave. They're also not getting the TBS 3.75" AT-ST, the Kohl's exclusive Rogue One set, the TBS [SW40] Luke X-wing Pilot or TBS [SW40] R5-D4. To get these figures, these are just some of the prices collectors in the EU need to pay: 3.75" Thrawn = 40 euros, TBS6 Darth Revan = 70 Euros, TBS6 Sabine Wren = 60 euros. Yes, this is truly the best time to indeed collect Star Wars. Heck, the USA hasn't even seen most of these figures arrive at Big Box yet. Add to this delayed solid case packs and the inability to get out new products, you really have to wonder why the Star Wars line is in the state that it's in right now. I thought the 6" line was supposed to save collecting? It's the ONLY WAY you can get this particular version and color of the Hailfire Droid, but you probably would never pay its ridiculous original MSRP. See why the Hailfire Droid & General Grievous Toys R Us exclusive is such a bittersweet release. It's the topic of our Research Droids Reviews today. Be sure to leave your own thoughts in our comments section, vote in the poll or even leave comments about it on our Facebook page. Click the banner below for the direct link to the review! As always, you can also send your own personal review requests via email if you'd like to see something that we didn't cover yet. You have until the end of today to take advantage of the 15% off in stock Gundam model kits at JTA sponsor NJ Toys And Collectibles. Jedha Revolt Multipack IN STOCK At Walmart.com! If you still need it, the Jedha Revolt multipack IN STOCK at Walmart.com! Special thanks to JTA reader Jeff T. for the alert! A New Low For Disney's Elite Series Figures - Get Some As Low As $6 Each! Well, this line looks dead. Disney Store is running a crazy clearance sale on some of their Star Wars products including the Elite Series. The die cast figures are $12 and you can get an extra 40% off on select merchandise if you use code BONUS40. There is also FREE SHIPPING for orders over $50 code SHIP50. When all is said and done you can get many of these figures for $6 each. Special thanks to friend Steve U. for the alert! By the way, their search function isn't working well, you may have to weird through all of the clearance and/or toy items. We're adding another The Clone Wars [SOTDS] basic figure to our Visual Guides tonight. Click below to check out the ARF Trooper (CW56). You can also read our full review on this figure for additional information and gallery images right here. Walmart Exclusive 3.75" Scarif Stormtrooper Came And Went In A Flash! It went super fast, but the Walmart exclusive 3.75" Scarif Stormtrooper was IN STOCK a moment ago at Walmart.com for $9.83. JTA reader Matthew V. was successfully able to order two. You may want to bookmark this link in case it makes a return in the near future. Return Of The Jedi Special Edition + Theater Edition Luke Jedi Turn 20 Today! We don't know where the time has gone, but the Return Of The Jedi Special Edition turned 20 years old today. It also marks the 20th anniversary of the Luke Skywalker (Jedi Knight) Theater Edition figure that was one of the most feverishly sought after Star Wars action figure of all time. Special thanks to JTA reader Clinton R. for the reminders to these landmark events! Patch collectors that attended Celebration Anaheim will remember the amazing set that the OSWCC (Ohio Star Wars Collectors Club) put together featuring the Darth Vader's Collectors Case puzzle patch set. This year they are following up that set with another home run: The Celebration Orlando C-3PO Puzzle Patch Set. Members of Ohio Star Wars Collectors Club are pleased to present an exclusive collecting opportunity at Star Wars Celebration Orlando: A 20-piece patch set that makes up a full size vintage Kenner C-3PO Action Figure Case. The full set when assembled is over 17” wide! Click through for full details on how to find each patch! We have just been contacted by feedspot.com that Jedi Temple Archives has been awarded Top 100 Toy Blog designation. We are thrilled to place as the #1 Star Wars fan site in this ranking. We are also #11 overall (YouTube.com channels not included) and #24 overall (YouTube.com channels included) competing with sites that cover all/other toy brands. Check out the complete ranking HERE. The Clone Wars [Blue] line contained some repacked vehicles. Here is another. Let's check out General Grievous’ Starfighter in our Research Droids Reviews today. Be sure to leave your own thoughts in our comments section, vote in the poll or even leave comments about it on our Facebook page. Click the banner below for the direct link to the review! As always, you can also send your own personal review requests via email if you'd like to see something that we didn't cover yet. We have another vehicle Visual Guide update today, this time featuring the repacked Obi-Wan Kenobi's Starfighter from the The Clone Wars [Blue] line. Click below to have a look at our detailed guide page. This was also our featured review for the day, which you can visit right here. I had the distinct pleasure of being interviewed by Nick Nafpliotis from AiPT! (Adventures in Poor Taste!). We discuss at length the state of the Star Wars line including what's going on with Hasbro, The Black Series 6" line and the often ignored 3.75" super-articulated line. We really let our hair down in this interview, so Hasbro, please don't read this one! Anyway, YOU however should definitely check it out! The Clone Wars [Blue] line contained some repacked vehicles. One of these was Obi-Wan Kenobi's Starfighter, based on the vehicle he utilized traveling to Utapau to hunt down General Grievous. Check this vehicle out in our Research Droids Reviews today. Be sure to leave your own thoughts in our comments section, vote in the poll or even leave comments about it on our Facebook page. Click the banner below for the direct link to the review! As always, you can also send your own personal review requests via email if you'd like to see something that we didn't cover yet. A Bootleg To Top All Other Bootlegs? We think we have found a bootleg that tops all others. Check out this awesome "The Black Series Kylo Ren"! Special thanks to JTA reader Olloe for the heads up! Up next we have Clone Commander Wolffe as our latest Visual Guide update. Click below to visit our guide page. You can also visit our full review right here. As of the time of this post, the Emperor's Royal Guard is IN STOCK for $10.83! TBS6 40th Anniversary Figures At TRU.com Including R2-D2! Hurry! The 40th anniversary The Black Series 6" figures are available to order at ToysRUs.com. R2-D2 is in stock too! Special thanks to friend Danny R. for the alert! Note to Hasbro: We know what the next case pack looks like for The Black Series [Phase III] 6" line and it makes sense. But we hope that you're already preparing solid case packs of the Emperor's Royal Guard. This figure will be the most sought after figure to army build since the 3.75" version. Please act proactively and get these solid case packs prepared immediately. Get those factories working second and third shift to produce as many of these figures as they can. They will ALL sell. Thank you! If you don't do something to meet the demand we know it will have, you're going to have an ocean of fans filled with disgust and aggravation. We"hinted" a while back that we could expect to see The Black Series [Phase III] 6" Darth Revan solid case packs. We've heard that they're supposedly still coming, but we have also learned that they're likely to expect a delay (sometime in the Spring) before we actually see them. This whole wave has been impossible to find at retail, and it's not a great sign that these figures have been so elusive. The good news is that key characters will be returning soon. And who knows where TARGET's, Toys R Us' and Walmart's stock is. We're finishing up looking at the cool 30 (77-07) Battle Packs sets. The final set is the awesome The Hunt For Grievous which was originally a Toys R Us exclusive a year earlier. Check out this general release version in our Research Droids Reviews today. Be sure to leave your own thoughts in our comments section, vote in the poll or even leave comments about it on our Facebook page. Click the banner below for the direct link to the review! As always, you can also send your own personal review requests via email if you'd like to see something that we didn't cover yet. Check out the very cool Flamethrower Clone Trooper (CW26). Click below for our complete Visual Guide. We also have a full review of this figure in our Research Droids Reviews database. Check out the latest Mini Bust from Gentle Giant: Bistan. Click here for the pre-order page and additional pictures. We're continuing to look at some of the cool 30 (77-07) Battle Packs sets. Let's now check out the Clone Atack On Coruscant set. It was a good choice to repack in the line. Learn more in our Research Droids Reviews today. Be sure to leave your own thoughts in our comments section, vote in the poll or even leave comments about it on our Facebook page. Click the banner below for the direct link to the review! As always, you can also send your own personal review requests via email if you'd like to see something that we didn't cover yet. Just wanted to share a heads up to other JTA readers that the Revoltech R2D2 is on sale at amazon.com for $25. I just picked one up for myself. I know it’s not the end all be all R2 but a darn nice sculpt & paint for half price. Our next Visual Guide entry for the The Clone Wars [Shadow of the Dark Side] line is Captain Rex (CW12), featured here in his cold weather gear. Click below to have a look, and also check him out in our review database. We're continuing to look at some of the cool 30 (77-07) Battle Packs sets. Let's now check out the Jedi Vs Sith set. It was a good choice to repack in the line. Learn more in our Research Droids Reviews today. Be sure to leave your own thoughts in our comments section, vote in the poll or even leave comments about it on our Facebook page. Click the banner below for the direct link to the review! As always, you can also send your own personal review requests via email if you'd like to see something that we didn't cover yet. Let's take a look back at some more The Clone Wars [Shadow of the Dark Side] figures. Click below to have a look at the Visual Guide for Anakin Skywalker (CW07), featured here in his space gear. You can also find this figure in our review database right here. Will The Black Series 6" Format Ever Feel Like A Full And Complete Line? If you're a The Black Series 6" collector, what criticisms if any do you have of the line? What isn't it doing that it should? We often hear that the range is very limited, and that the likelihood of getting background aliens and B/C characters is likely never going to happen. By nature, Hasbro will be forever playing "catch up" with this line since it's new and has only been in production since 2013. Do you see the line taking more risks and perhaps attempting to reach different generations than the current audience of The Force Awakens and other new Star Wars Entertainment? Do you foresee Ree-Yees, Yak Face, Lobot, Padme, Count Dooku, young Anakin Skywalker, Jar Jar Binks, Battle Droids, Super Battle Droids, Tessek, Captain Fordo, Darth Talon, K'Kruhk or even Kit Fisto (among many others) ever becoming part of the line? At the rate they're going, it seems like it will take years to even scratch the surface. Thoughts? With special thanks to JTA reader fearxforthebest, check out these cool The Black Series 6" prototypes on eBay. Does anyone know what that Luke Jedi head scupt could be? Perhaps the Luke Bespin head misidentified? It looks great unpainted! Check out the latets from JTA sponsor NJ Toys And Collectibles! Yahoo! is reporting that Disney's shareholders have viewed some footage from The Last Jedi. Check out the story! Now let's look at some cool 30 (77-07) Battle Packs sets. Let's start with Jedi Vs Darth Sidious. It was a good choice to repack in the line. Learn more in our Research Droids Reviews today. Be sure to leave your own thoughts in our comments section, vote in the poll or even leave comments about it on our Facebook page. Click the banner below for the direct link to the review! As always, you can also send your own personal review requests via email if you'd like to see something that we didn't cover yet. The official Star Wars Celebration site announced today that Celebration is returning in 2019. No official location or dates yet, and no word if we will see another overseas Celebration in 2018. Click through for the official announcement. Kotobukiya is making astromech fans happy with their four Celebration Orlando exclusives. Click below to check them out. These are all available for pre-order, as well as several Celebration exclusive bundle sets. Kotobukiya is excited to announce our 2017 Star Wars Celebration exclusives, which include FOUR unique Droid releases - all first time additions to the ARTFX+ collection! From the new duo 0-0-0 (Triple Zero) and BT-1 to fan favorites R5-D4, R4-M9 & R2-X2 there is something for everyone in this offering. These will be sold exclusively at Kotobukiya booth #3332 during Celebration. And for those not attending this event we have a limited-time pre-order taking place right now on kotous.com. Check out the Visual Guide for the Rogue One multipack Jedha Revolt. Click below for the detailed guide page, and check out our full review complete with commentary and additional gallery images right here! Chelsea from Boom Online sent along information on some very cool Star Wars family crests that she put together. Click here to have a look at these. Anyone else think these would make cool patches? Check out the latest edition of Cantina Chatter, the official podcast of Victoria's Cantina (a favorite friend of JTA). I was honored to be asked to discuss the results of NY International Toy Fair this year and what the response has been to what was shown. We also talk about the state of 3.75" super-articulated action figures, 6" figures and if Hasbro is doing right by the 40th anniversary of Star Wars. Check it all out by clicking the link below. With special thanks to JTA sponsor Dorkside Toys for providing our sample, let's check out the Jedha Revolt multipack from the Rogue One line. Learn more again in our Research Droids Reviews today. Be sure to leave your own thoughts in our comments section, vote in the poll or even leave comments about it on our Facebook page. Click the banner below for the direct link to the review! As always, you can also send your own personal review requests via email if you'd like to see something that we didn't cover yet. We're following up yesterdays Visual Guide update with the BFII companion set Star Wars: Battlefront II Droid Pack figures. Click below for a look at all of the droids included with this set, and check out our full review for even more gallery images. Hilarious Star Wars Figure Bootlegs: May The Farce Be With You! With special thanks to JTA reader Paul B., you must look at these hilarious bootleg Star Wars figure auctions on eBay. Have you ever seen anything so pitiful in your life? Click the thumbnails below to be taken to those auctions. Rumor Report: TBS6 E8 Finn Not On Tap For First Three Waves This Fall? OK, it's SUPER EARLY and it's only a "rumor", but one of our sources has provided evidence to us that a new Episode VIII Finn is CURRENTLY not in the first three waves of The Black Series [Phase III?] line up this Fall for Force Friday launch. It's truly hard to believe that this character would be delayed, ignored or altogether forgotten, but our eyes did a double take when we reviewed the proof, just as we're sure your eyes are already disbelieving what you're reading right here. We're strictly talking about a "basic" boxed release of Finn, not an exclusive (where Hasbro might slot him if this rumor turns out to be true – I mean, it is true now, but this could possibly change by the time we reach September). It's definitely hard to process this. Stay close as we follow this story for new developments. Hopefully this will change. I can already see the #WheresFinn social media storm. They were a huge hit in the 30 (77-07) line, so Hasbro re-released them The Legacy Collection. Discover the Star Wars: Battlefront Droid Pack once again in our Research Droids Reviews today. Be sure to leave your own thoughts in our comments section, vote in the poll or even leave comments about it on our Facebook page. Click the banner below for the direct link to the review! As always, you can also send your own personal review requests via email if you'd like to see something that we didn't cover yet. Today's Visual Guide update features the Star Wars: Battlefront II Clone Pack, full of... lots of clones! Click below to check out all 6 clones included with this set. You can also read our full review on this set right here. It was a huge hit in the 30 (77-07) line, so Hasbro re-released it in The Legacy Collection. Discover the Star Wars: Battlefront Clone Pack another time in our Research Droids Reviews today. Be sure to leave your own thoughts in our comments section, vote in the poll or even leave comments about it on our Facebook page. Click the banner below for the direct link to the review! As always, you can also send your own personal review requests via email if you'd like to see something that we didn't cover yet. The headline is a joke (sarcasm) for those that think it's meant to be serious (you have to clarify these things nowadays). Here is a perfect example of why The Black Series 6" line just doesn't cut the mustard like the 3.75" super-articulated line does. Kmart is DROWNING in their exclusive figures and Hasbro has already deposited their check from them. Sad. It looks similar in my local Kmart stores (who are closing left and right mind you). Without versatility, selection and volume, a line dies, not thrives. No one cares about TFA, Hasbro. Stop making characters from it. It's so 2015. And 6" collectors are wondering why they don't have that complementary piece to Jyn Erso yet..... LOL! Who remembers all of those brilliant TVC exclusives that Kmart did that flew out of most stores? Yeah, we do too. Special thanks to JTA reader and friend Josh M. for this image of madness. We have another addition to the The Clone Wars [SOTDS] Visual Guide, this time featuring the Multipack Clone Commando Squad. Click below for full details. You can also check out our full review right here. “Cloak of Darkness” remains one Star Wars: The Clone Wars’ most underrated episodes. Click through for the full review! Attending Celebration next month? The Diorama Workshop celebrates 15 years of Celebration building this year with the continuation of this long-standing event. Click here for the announcement details on this year's build. Congrats to Frank D'iorio and his team! Let's check out our final entry in The Clone Wars [Shadow Of The Dark Side] line look: the Clone Commando Squad Kmart exclusive. It's the focus of our Research Droids Reviews today. Be sure to leave your own thoughts in our comments section, vote in the poll or even leave comments about it on our Facebook page. Click the banner below for the direct link to the review! As always, you can also send your own personal review requests via email if you'd like to see something that we didn't cover yet. Our next DVD set from the The Clone Wars [SOTDS] line is Weapons Factory. Click below to check out the latest addition to the Visual Guides. Make sure to also check out our full review for this set. Another recognizable Star Wars character returned in the latest episode of Star Wars Rebels. Click through for the full review! With the lull in new product now is a good time to dig through the pages on Amazon to find some of the 'older' product at discount prices. If you've been holding out on some of this stuff or are looking for some customizing fodder it's worth looking through the listings. You can find The Force Awakens, The Black Series, and Rogue One product at lower than retail prices if you dig deep enough. For example, check out this heavily discounted Die Cast helmet set for $3.39. There's lots of great prices to be found if you take the time to look. It's time to check out the Weapons Factory (Anakin Skywalker And Super Battle Droid) (2 of 2) The Clone Wars DVD Set. It also doesn't have enough newness in it. See more in our Research Droids Reviews today. Be sure to leave your own thoughts in our comments section, vote in the poll or even leave comments about it on our Facebook page. Click the banner below for the direct link to the review! As always, you can also send your own personal review requests via email if you'd like to see something that we didn't cover yet. JTA reader Garven Dreis has just returned from his local TARGET. In the Star Wars aisle they have already put shelf tags up for the Imperial AT-ACT Driver. The DPCI on the shelf tag is 087-06-1115 in case you're interested. Sneak Peek! Rogue One Jedha Revolt Four-Pack! Check out a sneak peek of the pretty cool Jedha Revolt multipack! RDR and VG coming soon! In the meantime check out Sergeant Jyn Erso (Jedha) (slight repaint), Edrio Two Tubes (all-new), Imperial Hovertank Pilot (retool and repaint) and Saw Gerrera (all-new). Today's Visual Guide update takes a look at the DVD set Landing at Point Rain. Click below to have a look at the full guide page. You can also read our full review of this set right here. The upcoming Star Wars: Thrawn novel will have three different editions available. Along with the standard release (pre-order here), you can also pick up the Barnes & Noble edition ($28.99), which comes with an exclusive cover and pull-out poster. You can pre-order that edition right here. There will also be an Celebration Orlando exclusive edition that will only be available at Celebration Orlando next month. There is no pre-order for this edition, so you will need to go to the show to get it. Get all the details on each edition right here. Even though principal photography has already begun, it looks like the upcoming Han Solo film is getting a new cast member. Variety is reporting that Michael Kenneth Williams, best known for his portrayal of Omar Little on The Wire, is in final talks to join the Han Solo film. Head over to Variety for the full report! Star Wars Rebels isn't going anywhere. Lucasfilm put an end to the rumors that Star Wars Rebels would end after the current season when they renewed Star Wars Rebels for a fourth season. Season four is scheduled to premiere on Disney XD later this year. Head over to StarWars.com for the full story! We have learned that the GameStop/ThinkGeek exclusive R5-D4 figure is set to arrive April 21st and will retail for $22.96. The SKU is 143431 too. Special thanks to JTA reader Moteleone for the news! TBS6 TARGET Exclusive Imperial AT-ACT Driver Available In April? Retailer Robot Kingdom has put up the "Elephant Driver" pre-order with an April 1st ship date. This should give us a good guage on when we can expect to see this figure at TARGET. It's time to check out the Landing At Point Rain (Obi-Wan Kenobi And Battle Droid) (1 of 2) The Clone Wars DVD Set. It just doesn't have enough newness in it. See more in our Research Droids Reviews today. Be sure to leave your own thoughts in our comments section, vote in the poll or even leave comments about it on our Facebook page. Click the banner below for the direct link to the review! As always, you can also send your own personal review requests via email if you'd like to see something that we didn't cover yet. Let's wrap up the latest Rogue One wave of figures with tonight's Visual Guide update. Check out Fenn Rau by clicking below. You can also read our full review of this figure right here. UK Report: ASDA Exclusive TBS 3.75" Newest Waves Finally Hitting! Wo! Here is a very positive UK store report. JTA reader Matt H. sends us exciting news that NEW The Black Series [Phase III] 3.75" figures are hitting his local ASDA store. Click through for his awesome report! Walmart.com has just reduced the price again for The Black Series [Star Wars 40] figures to a low $16.78 each now. R2-D2 is gone, but Han Solo can still be pre-ordered as of this post. We are also hearing that those who pre-ordered them for $17.99 are getting credits fort eh difference. Let's finish up the fourth wave of Rogue One figures. We've finally reached Fenn Rau. He also turned out better than expected. Learn more in our Research Droids Reviews today. Be sure to leave your own thoughts in our comments section, vote in the poll or even leave comments about it on our Facebook page. Click the banner below for the direct link to the review! As always, you can also send your own personal review requests via email if you'd like to see something that we didn't cover yet. Check out the Visual Guide addition for Rogue One's Lieutenant Sefla. Get the full guide by clicking the image below, and read our full review by clicking right here. Jedha Revolt NOW IN STOCK At Hasbro Toy Shop! It's IN STOCK! Hasbro Toy Shop has put up this item for sale now! Jedha Revolt Four-Pack IN STOCK At Dorkside Toys! JTA sponsor Dorkside Toys has the Jedha Revolt multipack IN STOCK! It isn't in stock yet, but Hasbro Toy Shop has put up a product page for the Jedha Revolt multipack. You may want to bookmark this page for when it goes live. Special thanks to good friend Ayem Mayhem for the alert!